1. Work out the Nearest Point of Relief before lifting your ball. There will be times when it is better to play your ball as it lies (if permitted by the Rules) rather than taking relief that means you have to drop your ball in a less favorable position. 2. Think before you drop a ball under the Rules. If you find there are any loose impediments in the area that you are going to drop the ball you are permitted to remove them. It is wise to do so rather than have your ball come to rest against a stone or a twig. Also, try and drop the ball somewhere where its roll might be to your advantage. For example, it is easier to play a ball that has rolled down a slope to a smooth lie than play it off the face of a slope. 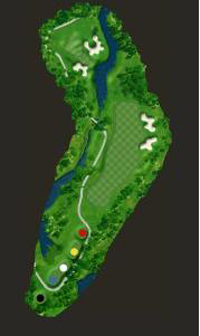 Click the Image above for Information or click Match Play vs Stroke Play In the column to the right. LGA’s Local Rules. LGA’s Local Rules Summary. 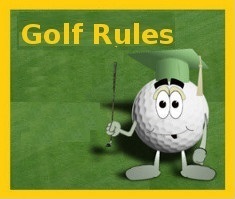 Understanding the rules of golf will increase your enjoyment of the game. Below are some links to videos, web pages and websites that hopefully will answer some questions regarding common situations that occur before, during, or after play. The USGA has produced some short videos explaining some of the Rules of Golf. Choose from the titles below, then click 'GO' to see the video. When is a swing a stroke? Where are the Red/Yellow Hazards? Where do I take my next shot?